For a casually elegant ensemble, team a Lardini checked double breasted coat with blue jeans — these two pieces play perfectly together. For something more on the daring side to complete this getup, rock a pair of white suede athletic shoes. 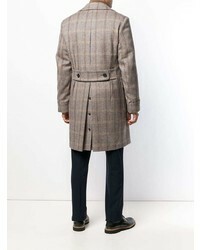 Marry a Lardini checked double breasted coat with a dark brown suit for a sharp classy look. Make your getup more fun by finishing off with dark brown leather derby shoes. 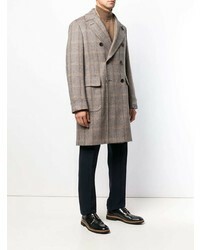 For a smart casual getup, consider teaming a Lardini checked double breasted coat from farfetch.com with black chinos — these two pieces the office really well together. 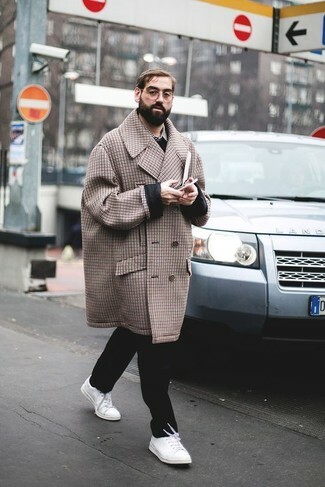 To break out of the mold a little, go for a pair of white low top sneakers. 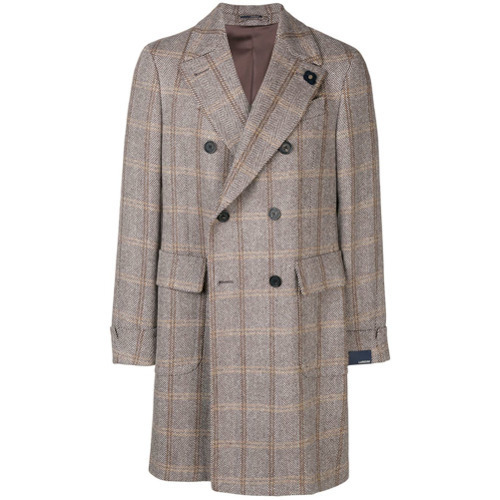 For a nothing less than incredibly stylish look, pair a Lardini checked double breasted coat with a charcoal wool three piece suit. Choose a pair of brown leather derby shoes to loosen things up. 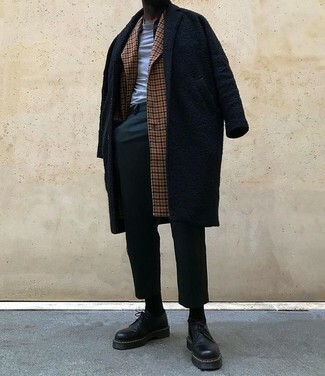 For a nothing less than incredibly stylish getup, rock a Lardini checked double breasted coat with a black overcoat. 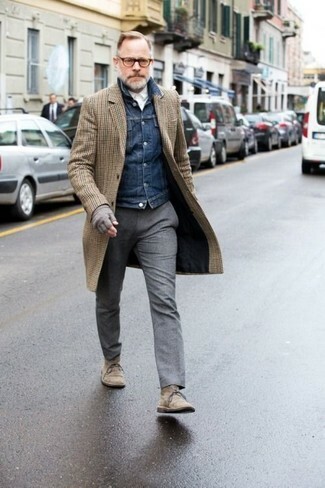 For something more on the daring side to finish off this look, choose a pair of black leather derby shoes. 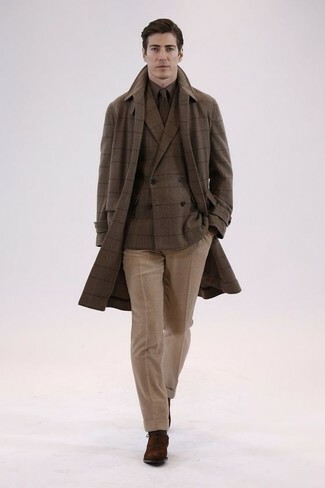 For a nothing less than incredibly stylish look, pair a Lardini checked double breasted coat with khaki wool dress pants. 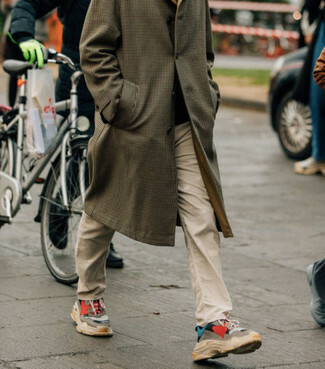 Channel your inner Ryan Gosling and grab a pair of dark brown suede oxford shoes to class up your ensemble. 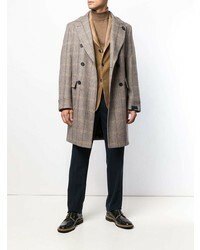 Consider pairing a brown check overcoat with grey wool dress pants to ooze class and sophistication. 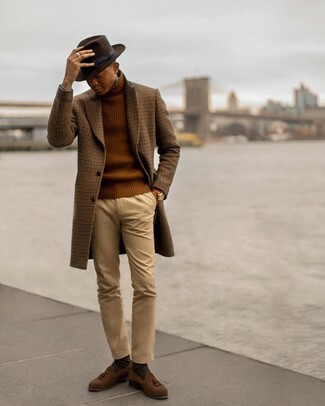 To break out of the mold a little, grab a pair of brown suede desert boots. 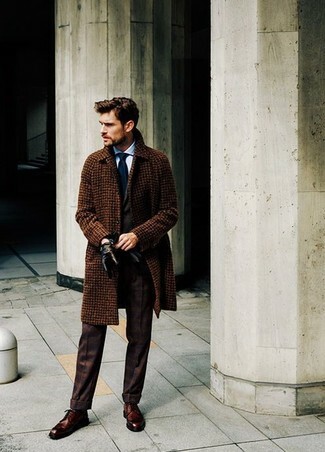 For a smart casual outfit, choose a brown check overcoat and beige chinos — these pieces fit beautifully together. Add a sportier feel to your ensemble with multi colored athletic shoes. 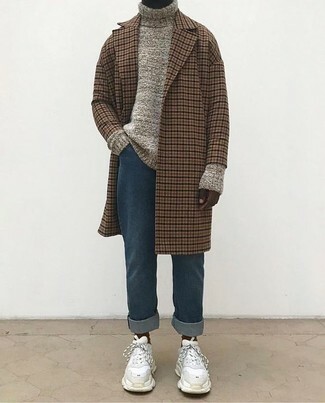 For a smart casual getup, team a Lardini checked double breasted coat with khaki chinos — these items fit pretty good together. Amp up the cool of your outfit by finishing off with brown suede tassel loafers.